UPPER WEST SIDE, Manhattan (WABC) -- A taxi cab and another car crashed on the Upper West Side early Sunday morning. 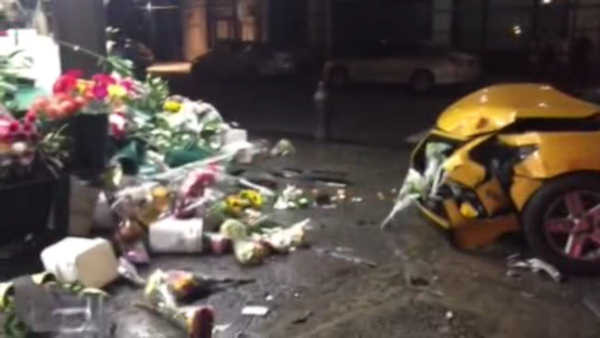 The taxi appears to have jumped a curb near a bodega, leaving the store's flower display in shambles. It happened near West 74th Street and Amsterdam Avenue. It is not yet clear what caused the accident, or whether anyone inside the cars were hurt.